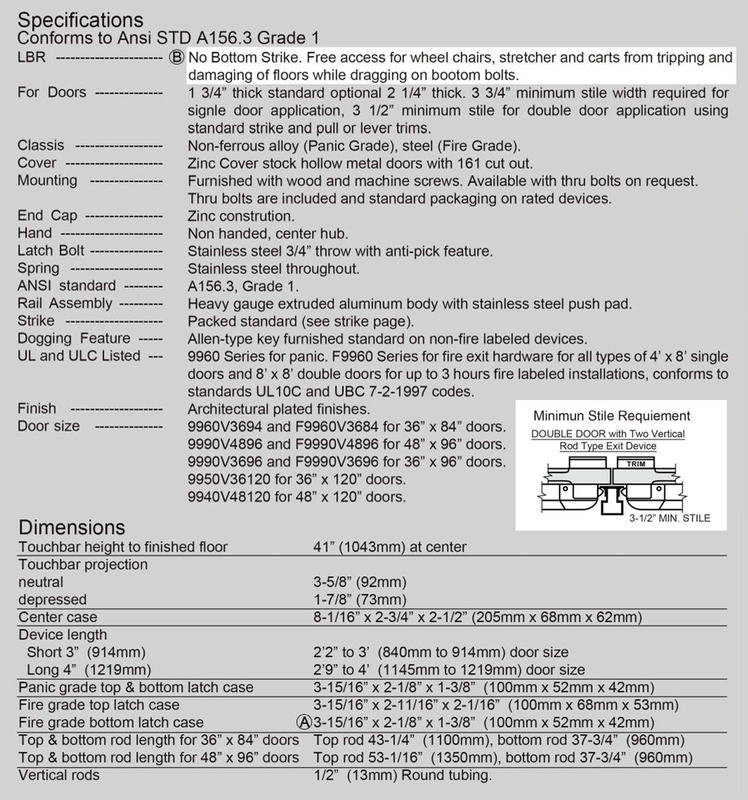 FC4100-3684" For 36" wide x 84" high doors. - Powder coated: Aluminum, Bronze, Oxidized Satin Bronze Plated(US10B). FC4100-4896" For 48" wide x 96" high doors. - Powder coated: Aluminum, Bronze, Oxidized Satin Bronze Plated(US10B).